A week ago, it was Thanksgiving in America. Here in Sweden it was just another Thursday. But every Thursday in Sweden brings with it a tradition many times older than Thanksgiving. It’s even many times older than the United States. 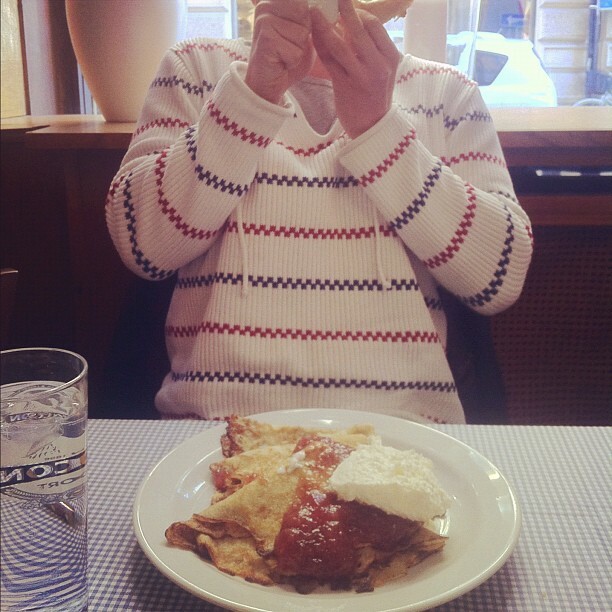 Thursday in Sweden means one thing: pancakes and pea soup. 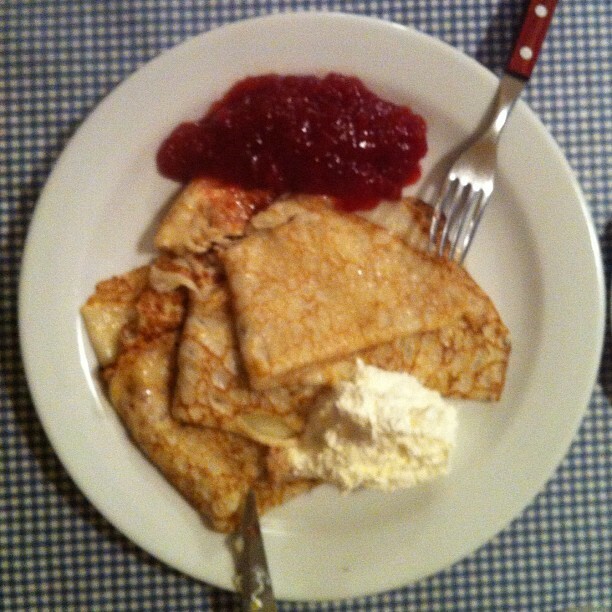 Swedish pancakes are very thin, unlike American pancakes. They are more doughy than crêpes but thin enough to be folded. They’re served with whipped cream and fruit preserves; typically strawberry, raspberry, blueberry or cloudberry. The pea soup that accompanies them is not necessarily green. It is sometimes made with yellow peas. The pea soup in Sweden almost always has pork or ham in it, so a lot of people like to season it with mustard. Because I’m vegetarian, I skip over the pea soup on Thursdays and go straight to a double serving of pancakes. The tradition of eating pancakes and pea soup on Thursdays goes back hundreds of years to when Sweden was more heavily populated with Catholics. I’m talking like more than 500 years ago. Back when the Catholics were running the show and they were fasting on Fridays, the day before required a big, hearty meal. A large serving of meaty pea soup topped with a heavy dessert of sweet pancakes and even sweeter toppings was just the trick to fill up those Swedish bellies for the long haul through to Saturday morning. After the country’s modern borders with Denmark were drawn and the Protestant Reformation took hold, the Catholic religion was largely pushed outside the borders. Today, most religions would find Sweden to be a really hard place to find followers. However, the tradition of pancakes and pea soup has survived. This dietary tradition has even claimed a notable victim. In 1577, the 43-year-old King Erik XIV, a Lutheran (gasp!) died after eating a bowl of pea soup tainted with arsenic. Personally, I haven’t tasted any poison in my Thursday meals, but I did just now get a kick out of using the word “tainted.” Sheesh, I’d want to die, too, if someone did that to my soup. Ew.